Peter Pan is all grown up and has forgotten all about his adventures in Neverland. When Captain Hook kidnaps his children, he has to go save them, but will he be able to remember how to be the hero he once was? Gather your family for a Movie Night to see if Peter will be able to save his children or if Captain Hook will be the only one with happy thoughts left. *Smee brings Captain Hook a plate full of all sorts of meat, bread and fruit but he won’t eat it because he’s too depressed. Serve the same food at your movie night for a dinner fit for a pirate, or come up with your own pirate friendly meal. You could make personal pizza’s and make pirate faces with the toppings (a piece of pepperoni makes a perfect eye patch) or just make hook shaped cookies for dessert. *Peter works up quite an appetite trying to learn how to be himself. Have your own Imaginary Dinner by letting your family imagine everything they would love to have for dinner. You could go the extra mile and ask them well before Movie Night and then have as many of the requested items prepared for them as possible. Have your own Neverland Feast… and watch out in case anyone decides to start a food fight. If you’re not in the mood for a feast, make a Neverland Cream Pie with your favorite type of pudding as the filling then add whipped cream on top as bright and colorful as you can stand to make it. *For drinks have chocolate milk for everyone and be sure to have straws in case anyone wants to blow bubbles in it. *Peter has a Cell Phone Dual with his co-worker and you could have one too. You can have a race to see who can answer their phone first or if your family members text then have some pre-written signs with silly phrases or quotes from the movie and have everyone text them to one person and see whose message comes through first. Whoever can use their phone the quickest wins the Peter Banning Award. *Chant “Hook” along with the other pirates as they bring the Captain his hook. You can also join the chanting when the Lost Boys cheer for Ruffio and when the pirates are calling out “Run Home, Jack” and “Home Run, Jack!” during the baseball game. *Everyone in Neverland knows that if you want to fly you have to think Happy Thoughts. What would make you fly? Go around the room and see what each of your family members says and see if anyone has similar thoughts to what the characters in Hook have. *Jack loves to play baseball. Play a game of baseball with your family before the show or play a virtual round with your video game system or even have some batting practice online. *Granny Wendy reads the first line of Peter Pan to Maggie: “All children ,except one, grow up.” Because this is so very true, why not make a Time Capsule with your family so that you can remember what you’re each like right this minute. Include facts like age, height, grade, favorite hobbies, color, food, best friends and such, but also remember to include things that are bound to change like a sample of their handwriting or even record a snippet of their voice. Have everyone write letters and ask questions to their future selves. Take a few pictures, add in some family mementos then seal it up in a jar, box or #10 can. Decide together as a family when you want to open it again. It could be in a year, five years or even ten… just remember to open it someday. You’ll be surprised how much things change. *Peter Pan is the beloved story that has been performed live thousands of times and has multiple film adaptations. Check your local play houses or schools to see if anyone will be performing this classic story soon or have a movie marathon and watch Peter Pan before you watch Hook. You could also watch Finding Neverland to learn more about the author, J. M. Barrie or just read the book version of the play that started it all. 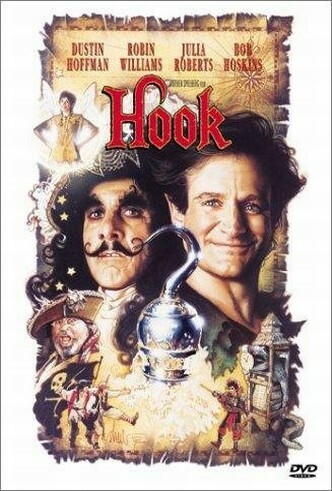 Hook takes the story of Peter Pan beyond Peter as a boy living in Neverland and explores the question: What if Peter grew up? Peter Banning (Robin Williams), is driven to be successful. To be a bit cliché he loves his wife and kids but doesn't have time to make it to all of their baseball games and plays. Peter Banning has forgotten Neverland, until Captain Hook (Dustin Hoffman) abducts his children in the night forcing Peter to remember a lost memory. Peter, with the help of a sweet little faerie named Tinkerbell recaptures his throne as the leader of the Lost Boys and confronts his enemy. The magic and dreamlike qualities of another world filled with adventures just a flight away from your window feeds my inner child; what doesn’t, is a seemingly good story that drags on too long. My opinion, years ago, when I saw it was much higher than it is now; it was an okay rental but definitely not one for the collection. The acting was top notch though, Hoffman played a spot on Hook; while Williams, who usually plays the one line jokester, embraced a somewhat serious role for him and it worked. Maggie Smith (a personal favorite of mine) plays Wendy (but check out towards the end who plays the young Wendy). Hook won’t short change you in the world of make believe or even some emotional scenes around embracing our youth and loved ones. It was just, I hate to say it, kind of boring at times. Motherly Advice: Hook is a family movie, but, heads up there are some things to be aware of. I had my filters set to medium thinking that would be okay with a PG film, well for myself it would be but if I was watching with kids I would turn up language and violence filters. 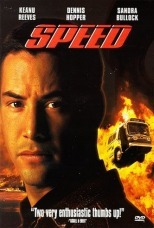 Although there is no violence shown, Peter’s children are kidnapped and appear in danger multiple times throughout the film. Peter falls into the water while trying to rescue his kids and struggles to get to the surface, so three mermaids in bikini tops come to his rescue to offer oxygen by putting their mouths to his, this scene is kind of weird and adds nothing to the movie. The Lost Boys are just that, BOYS, and fighting, name calling and food fights are part of never growing up. One Lost Boy is killed by a sword and another unnamed person is killed by Hook with a gun during a baseball game. Some of the Lost Boys share emotion about wishing they either had a father or a mother, those discussions set kind of a sad tone. And lastly Tinkerbell and Peter have a “moment” where Tink shares her feelings for Peter while wearing an off the shoulder gown (she wears short shorts the rest of the time) and they kiss briefly. With modifying my filters slightly I would recommend ages 9 and up. Hannah – Clearplay Happy Thought Faerie! 86% (1172) have seen it. 14% (190) haven't seen it.